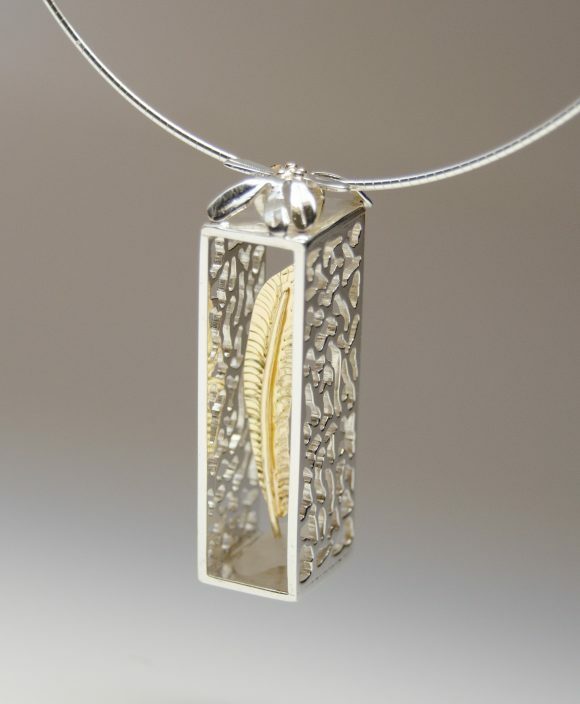 This pendant is hand crafted from sterling silver, 18K yellow gold and found sea glass. It is 4.2 cm ( 1 ⅝”) high and 1 cm wide. Presented on a 1 mm sterling silver Omega chain.